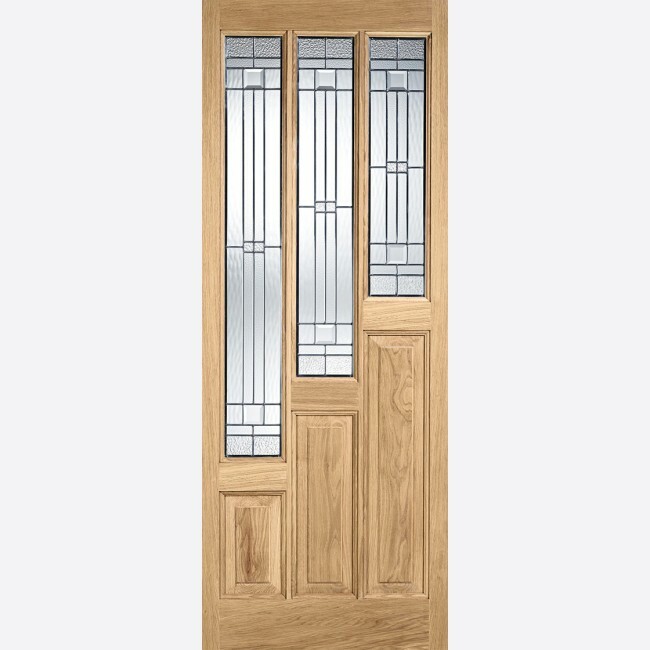 The Coventry Elegant door design features zinc double glazed panels in a stepped design and raised shaped panels in an Oak finish. Adoorable 44mm external oak doors are constructed from engineered solid oak timber components, to give more stability to your door, and reduce any problems such as expansion, twist and warp, that ordinary timber components can have. This Coventry Doors has Zinc-Came Elegant Pattern partly obscure Double-Glazing, with Clear Square Bevels. This door has Raised and Fielded Panels and flush panel beads. Adoorable Coventry Elegant Oak Doors are made using dowel construction, and door components may be engineered for stability, and for ecological reasons. There are no Raised Bolection Mouldings. The Glazing Unit is IG Zinc-Came Elegant Pattern partly obscure Double-Glazing, with Clear Square Bevels. LPD Coventry Elegant Dowel Door Codes - OCOVELETGZ30 - OCOVELETGZ32 - OCOVELETGZ33 - must be treated to LPD's fitting and maintenance instructions. 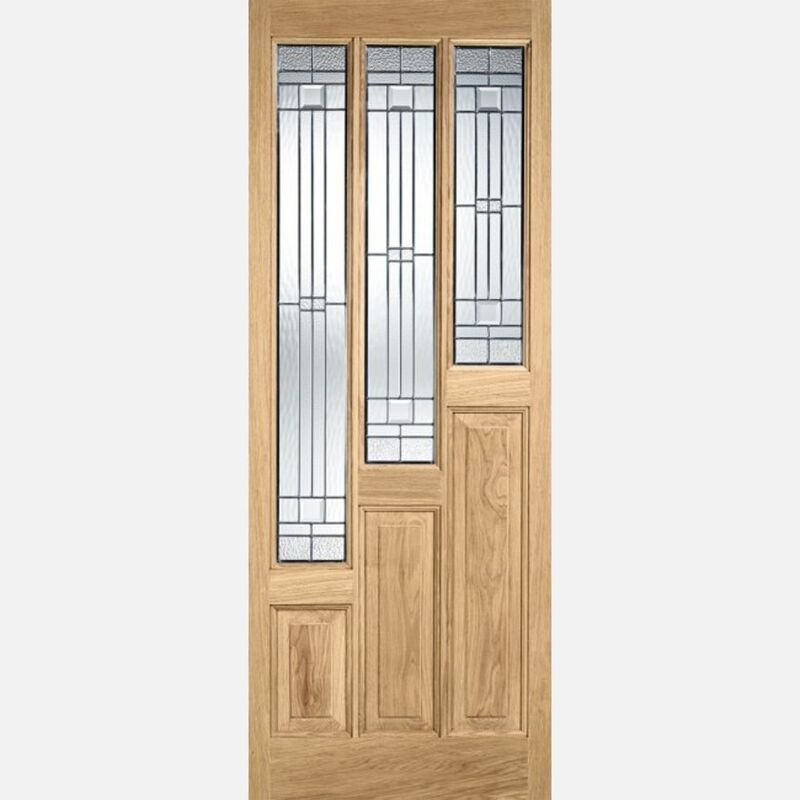 - We cannot exchange Oak Glazed Coventry Elegant External Doors after order - LPD Coventry Elegant 3-Light Glazed Oak External Doors are supplied as a Special Order. Payment - We can take Debit Card, BACS, Cash, Cheque or Credit Card payment online for Coventry Elegant 3-Light Zinc Double Glazed Oak External Doors. E. & O.E. see T&C - We do try to keep prices and specifi­­­­­­­­­cati­­­­­­­­­ons of LPD Coventry Elegant 3-Light Zinc Double Glazed Oak External Doors correct, but mistakes can be made!